Justin is a partner practicing in the areas of Business Law, Secured Finance, and Commercial and Residential Real Estate. 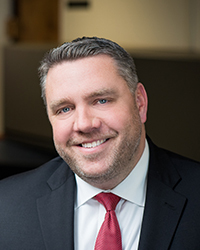 A significant amount of Justin's practice involves representing private lenders in commercial loan transactions as well as representing clients in the formation of new businesses and the acquisition or sale of existing businesses. Justin is a graduate of Eastern Connecticut State University and the University of Connecticut School of Law. He is a member of the ECSU Foundation, Inc. Board of Directors and currently serves as its President. Justin resides in Coventry with his wife and two daughters.